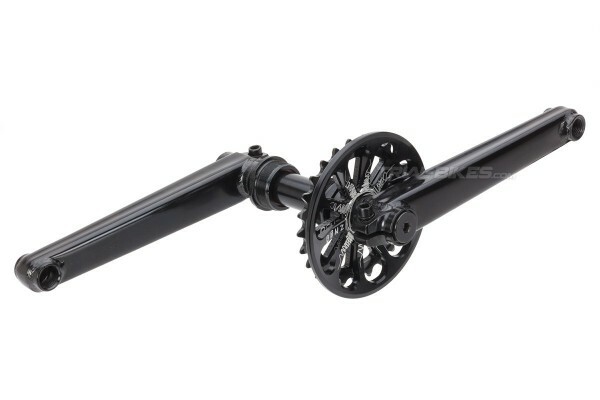 - Crank set for Street bikes from French manufacturer Bonz. 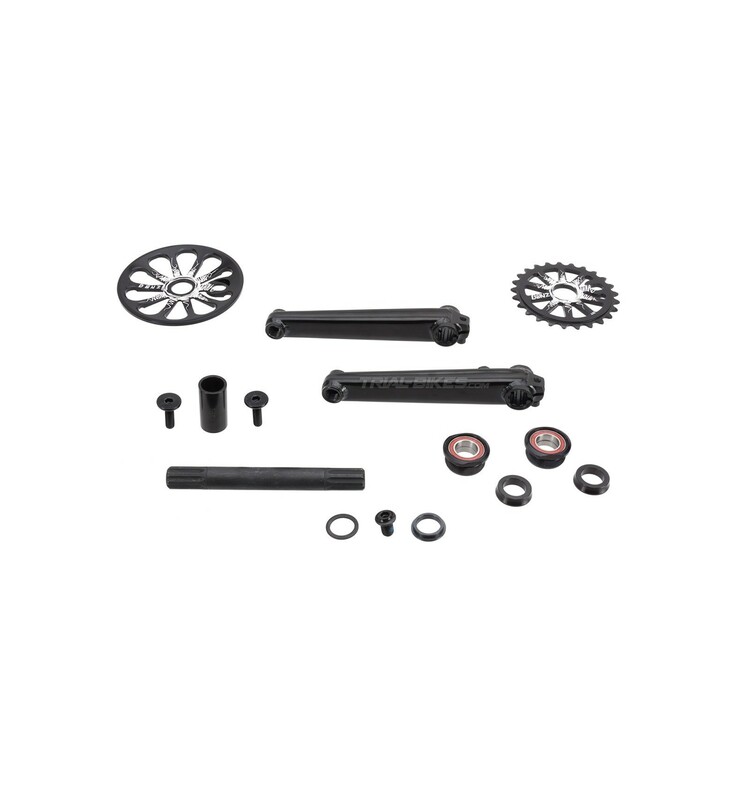 - This kit includes all components needed to replace the bottom bracket, cranks, sprocket and bashring. - By purchasing the complete kit, you can save quite a lot of money but also ensure all components are compatible with each other. - These parts have been tested for months by Ozonys’ Street Team riders Yohan and Thomas Triboulat. 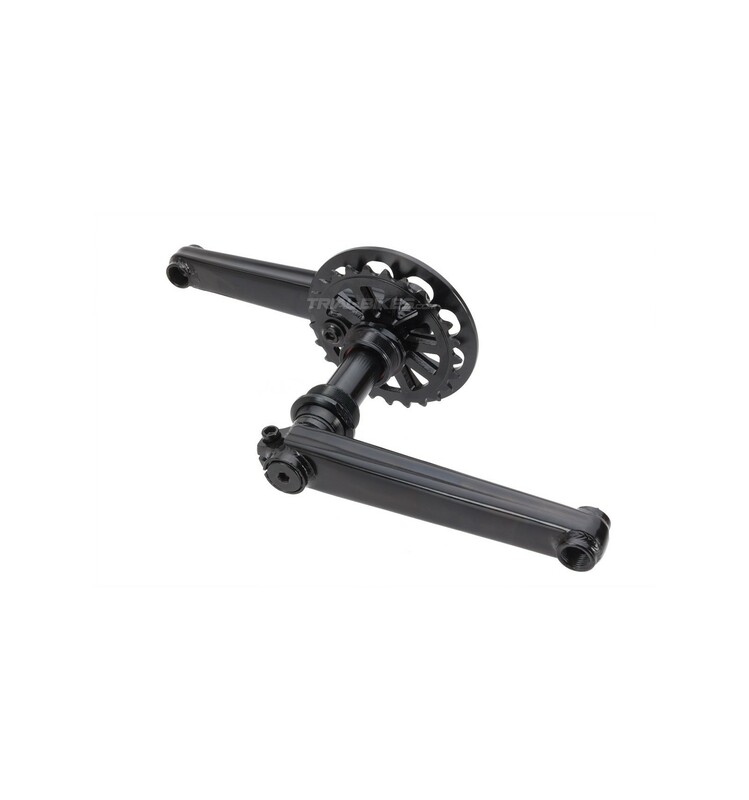 - The cranks are made from high grade steel, whereas the sprocket and bashring are made of aluminium alloy. - The sprocket has 25 teeth (25T), and goes attached to the crank by an M10x16mm bolt (included). - 24mm offset provides enough clearance to avoid rubbing the stays. - Standard 1.37”x 24tpi thread, suitable for most frames available. 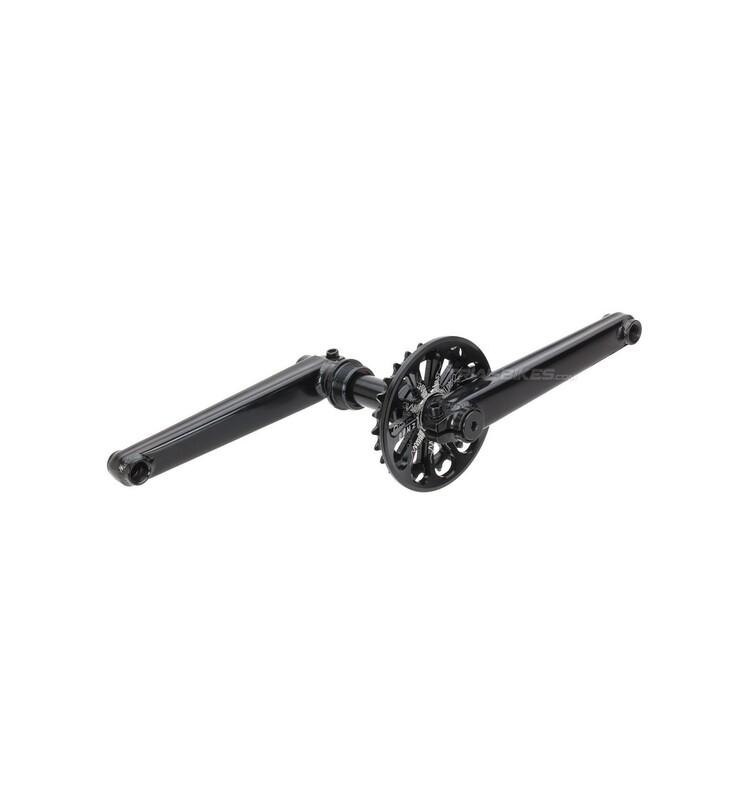 - Includes all bolts and spacers needed for installing the components. - Black finish, with white Bonz graphics on the bashring and sprocket. - Available in 170mm long.